/ Guest post / Are marketplaces a game changer for Consulting ? Are marketplaces a game changer for Consulting ? 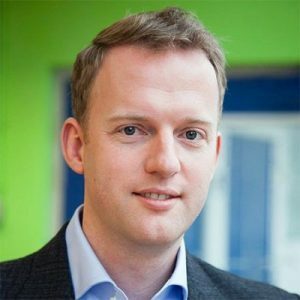 Eddie van Breukelen is the ‘Dutch-office-founder’ (officially Director Benelux) of Comatch, a consultancy marketplace startup that is branching out from Germany to The Netherlands. In this guestpost he discusses why the marketplaces concept used by many startups will disrupt the management consultancy market. We seem to be in the middle of a trend toward a gig economy (for examples of gig-economy startups see Plugify or Roamler or Startupbootcamp alumnus 24sessions). Temporary positions are more common and organizations often contract with independent workers for short periods of time. In a gig economy, businesses save resources in terms of benefits, office space and training. They also have the ability to contract with experts for specific projects who might otherwise be too expensive to keep on the payroll permanently. For startups, this new economy provides opportunities to disrupt traditional players by becoming a marketplace rather than a provider. It seems that no sector can escape from this trend to become more flexible. Not even the one for well paid professionals like doctors, lawyers – or management consultants. From the perspective of the freelancer, a gig economy often means an improvement of work-life, this is even truer when the professional is highly trained and equipped with the expertise that is sought for. This is the main reason why the number of independent consultants in the Netherlands has risen sharply in recent years, evidenced by CBS figures: In the second quarter of 2016 there were 97,000 independent Dutch advisers in the field of management and organization, against 59,000 in 2009. Also, because consulting is by nature a profession based on flexibility and project work, the consultants are used to a lifestyle of quick change and adaptation – during my own time as a consultant with McKinsey I would often agree on Friday to start to start with a new client the next Monday, sometimes even abroad. It is true that large consulting companies with whole armies of people can do the best job for specific projects; when very large teams are needed, very specific data intelligence is required or, when the company reputation of the consultancy is important for some reason. For all other cases, an independent consultant can do the job as well. However, a study from the University of Bamberg from (Centre of Human Resources Information Systems) in 2015, pointed out that seven out of ten young professionals only accept a job offer when flexible working hours are possible. Many consultancies try to catch the trend by establishing sabbatical programmes etc. but for some professionals that is not enough. 38 per cent of all employed senior consultants can see him or her in the position of an independent advisor in the future. (According to the 2015 ‘Consulting Monitor’ of international executive search company Odgers Berndtson). They want to decide with whom, how many hours, at which rate and when they work. The reasons are various: More time for family, a special hobby, a passion for travelling or to found a startup, financing the first period from consulting on the side. The result is that more and more highly experienced and talented professionals are independent workers. With record numbers of people working as independent professionals, it is no longer the case that the best experts work exclusively at the large companies. An online marketplace (or online e-commerce marketplace) is a type of e-commerce site where multiple third parties provide product or service information, whereas the marketplace operator processes transactions (Wikipedia). Online Marketplaces can bring together both sides: Independent consulting professionals can select among temporary projects around the world. Companies can select the best individuals for specific projects from a larger pool. This business model has the potential to disrupt the labour-market according to a recent study. Comatch tapped into this growing trend towards digital consulting and online matching. The founders, Christoph Hardt and Jan Schächtele, met while working for McKinsey in the Netherlands some years ago. After leaving the firm they wanted to work as independent consultants themselves. They realised it was hard to find projects on their own, so in 2014 they founded Comatch in Berlin. I myself joined Comatch in May of this year after I had also left McKinsey and had a similar realisation. Rather than joining the marketplace as a consultant, I decided to become involved in establishing and developing the it in the The Netherlands. As I already mentioned a respectful number of consultants in the network use the new flexibility to start their own business, in many cases a start-up. I do believe founders have a lot of value to bring as consultants. For instance, in my first startup where we eventually wanted to build satellites, our first revenues where from engineering and project management services. We didn’t take just any work, we made sure that it built our understanding of needs in our market, our reputation and our network. And it for sure kept us in business while we were working on our ambitious plans for satellites. Some startupjuncture readers are probably kickstarting a marketplace themselves right now. In my experience setting up a market place is a chicken and egg situation. Our clients expect a pool of very good consultants and our consultants expect interesting project from clients. We didn’t have to start from scratch though, all founders brought their personal network. Also, an important part of our business is international, so in the early days we could build on our German and international pool of consultants and project requests from German clients. But don’t get me wrong, to be successful, you need to be out there, meeting clients, talking to everyone, and deliver on your promises to everyone. Another lessons I am learning from starting up Comatch, is about international collaboration inside a startup organisation. The main attention point in working with my German colleagues is not that they are German, but that they are in Germany and I am in the Netherlands most of my time. A lot of communication happens informally in the Berlin office and they are used to that. To make the cooperation work, I make an extra effort to be in the loop. This means very explicit communication on status, plans, and where we need support for the Dutch market. Also very regular phone, whatsapp and email contact. When I am in Berlin, typically once a month, I make sure to join in the fun-loving team dynamic we have going on and we catch up one on one. So, as often in life: Communication is key!